“Game of Thrones” may have won a record-breaking 12 Emmy Awards on Sunday night, but the night on the whole was all about firsts. 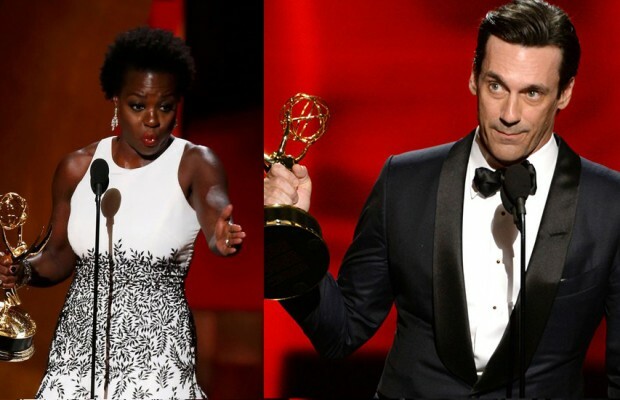 There were new categories in their first year, Jon Hamm won his first Emmy, and most memorably –Viola Davis was the first black woman to win the award for Outstanding Lead Actress in a Drama. By the way, “Game of Thrones” also won its first Emmy for Outstanding Drama. The night was full of laughs, tears, and quotes that we will remember for weeks. If you want to rehash the Sunday night’s best moments –or are too hard pressed for time to watch the entire telecast, check out our recap of the Emmy’s most memorable moments below.